“Hypocritical”, “unchanged” and “unrepentant”, these were the words that Prime Minister Lee Hsien Loong used to describe opposition candidate for Bukit Batok by-election Chee Soon Juan. 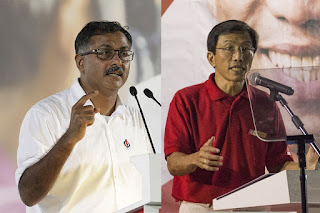 Speaking to reporters on a walkabout at Bukit Batok with People’s Action Party (PAP) candidate Murali Pillai yesterday morning, PM Lee said that he took issue with Dr Chee’s speech at SDP's rally on Fri, where he advised others to refrain from making personal attacks on former MP David Ong. 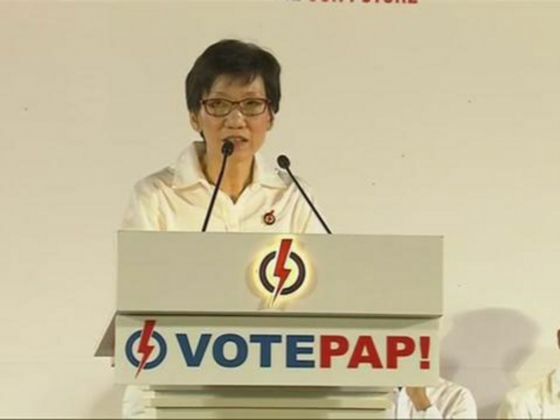 Dr Chee said this after other SDP speakers had earlier “fired away” at Mr Ong, said PM Lee. 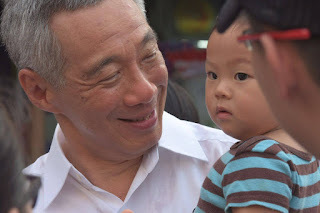 Prime Minister Lee Hsien Loong on Sat (Apr 30) questioned Singapore Democratic Party chief Chee Soon Juan's character and aptitude as the latter campaigns to be elected as Member of Parliament (MP) for Bukit Batok Single Member Constituency. 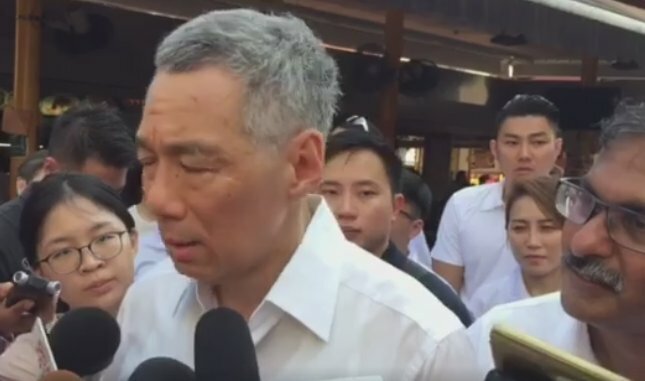 Speaking to reporters after his early-morning walkabout at Bukit Batok with People's Action Party (PAP) candidate Murali, Mr Lee, who is the PAP Secretary-General, noted that Dr Chee has not been working, yet said he will become a full-time MP if elected. "I mean, it's easy to say but what do you bring which you would be able to contribute and show you can do for the voters," he said. "It's partly your record, it's partly your ability but it is also your character." 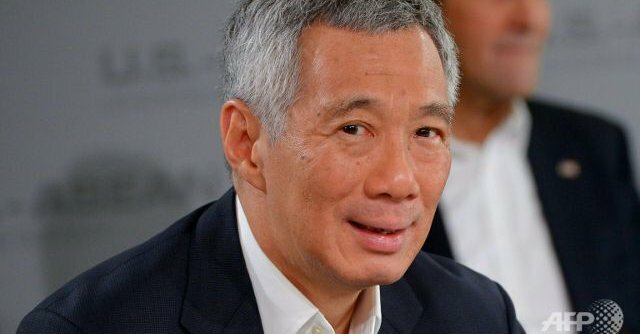 Prime Minister Lee Hsien Loong responds to a statement from the SDP's Paul Tambyah, who said "a person is not defined by his or her actions or words" and that an attack on Dr Chee's character was "uncalled for". "Anyone standing for public office should be prepared to have his past actions examined, transparently and honestly," Prime Minister Lee Hsien Loong said in a statement in response to comments by the Singapore Democratic Party (SDP)'s Paul Tambyah on Saturday (April 30). PM Lee said this is so that "voters can make informed, responsible decisions as to who is fit and best qualified to represent them in Parliament". Voters in Bukit Batok should ask three questions as they consider who to cast their ballot for on May 7, People's Action Party MPs said last night at the party's first rally of the by-election campaign. First, what kind of person is the candidate? Second, what promises has he made? And third, can he deliver on them? She began with an apology to Bukit Batok residents for the resignation of its former Member of Parliament (MP) David Ong, saying the People’s Action Party (PAP) was “deeply sorry to have (brought) this on you”. Then, Culture, Community and Youth Minister Grace Fu swiftly moved on to challenge the Singapore Democratic Party (SDP) and its candidate Dr Chee Soon Juan, the party’s chief, asking if the SDP was resorting to the race card as an election tactic, and questioning Dr Chee’s credentials and ability to deliver on his campaign promises. 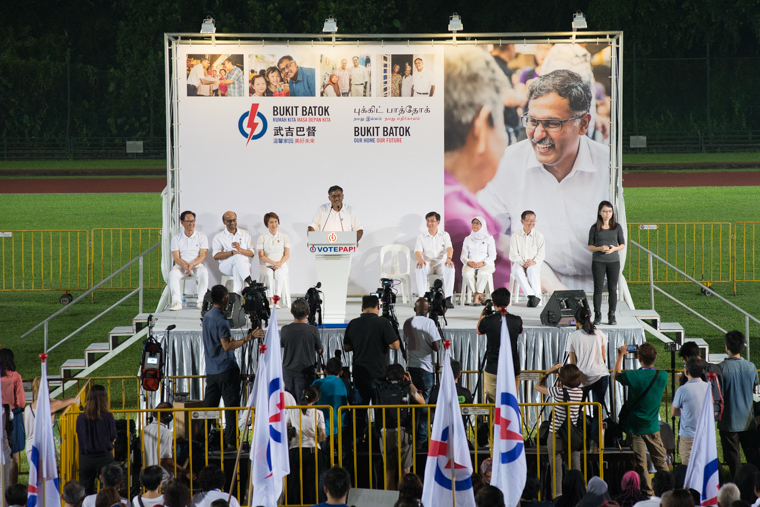 The party’s maiden rally last night was attended by PAP heavyweights, including Deputy Prime Minister Tharman Shanmugaratnam, who is MP for Jurong GRC, as well as Speaker of Parliament Halimah Yacob, a long-time Jurong GRC MP before moving to Marsiling-Yew Tee GRC for the General Election last year. Calling Murali Pillai, PAP’s candidate for the 7 May by-election, a humble person, Fu noted that the lawyer has been serving as a grassroots leader for 16 years. She contrasted Murali’s track record with that of Chee Soon Juan, the Singapore Democratic Party’s (SDP) chief and its candidate for the by-election. “He (Chee) wants to be a full-time MP. As far as I know, he has not held a full-time job for a long time. Working experience is essential and when you want to employ someone, you will look at their experience. "It will be interesting to see if there is a referral letter (for Chee) from Chiam See Tong,” she said. Various media reports have said over the years that Chee ousted former SDP chief Chiam from the party in 1993. But Chee and his other SDP members have denied the claim, saying that Chiam left the party voluntarily. Referring to Singapore Democratic Party’s candidate Dr Chee Soon Juan, Mr Lee suggested that when pressures heats up Dr Chee may feel that he should use his race to his advantage, and that it was wrong. “I see online some comments making this point about race in a quite open way. I hear some rumours going around within the constituency that people say, ‘Just vote for the Chinese, that’s good’. I think that is completely wrong and bad. She was referring to Dr Chee’s sacking from his former job as a lecturer, and the bad blood between him and SPP chief Chiam See Tong. Secretary-general of the People’s Action Party, Mr Lee Hsien Loong, speaking to reporters after his early-morning walkabout today (Apr 30) at Bukit Batok with People’s Action Party (PAP) candidate Murali Pillai, joined his party members in attacking Dr Chee Soon Juan. 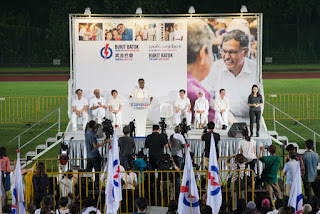 In the video, Murali is seen standing behind Mr Lee and smiling a his party leader spoke. “I think you have to look at the thing in total. I mean like what Grace Fu said yesterday at the rally, and I think she made a very good point. You have to look at the person. What has he got? The experience he’s got. What does he bring in terms of abilities – in terms of experience – in terms of proven track record – an in terms of character and commitment. And as Grace said, Murali’s commitment is without doubt. Last night at the People's Action Party's election rally for the Bukit Batok By-Election, Speaker of the Parliament, Mdm Halimah Yacob took the stage in support of the PAP candidate, Mr Murali Pillai. 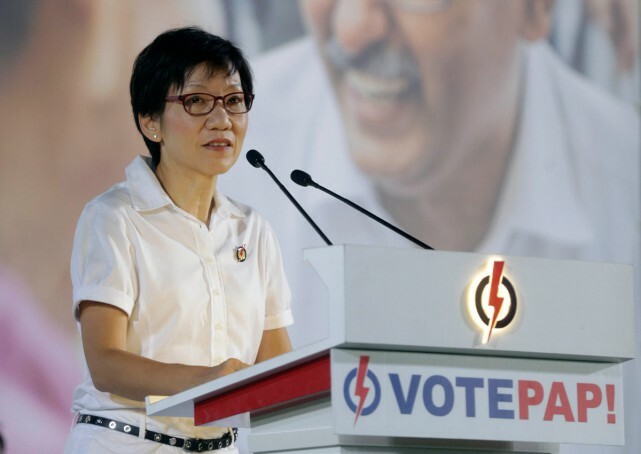 She said in her speech, "Mr Goh Chok Tong was the prime minister at that time and he shouted at Mr Goh Chok Tong, I was shocked at a new candidate standing for election, to see a candidate behaving in that manner." At this point, someone from the crowd shouted ""Gangster, he is a gangster!" WP member and 2015 GE candidate for Jalan Besar GRC Frieda Chan has weighed in on the Bukit Batok by-elections. In her Facebook post, she says that PAP candidate Murali's arguments on whether MPs should serve full-time is 'weak' and that by saying that it is not necessary for MPs to serve full-time, he is giving a 'slap' to all PAP MPs who have chosen to give up their careers to serve as full-time MPs. She also criticised his argument as being focused on himself rather than on the residents and voters of Bukit Batok. Assessing both Chee and Murali's selling points on whether to be full-time MP or not, if elected... In short, I think Murali's argument is weak and not well thought through. WHY does the People’s Action Party (PAP) trot out the women to do the blasting? 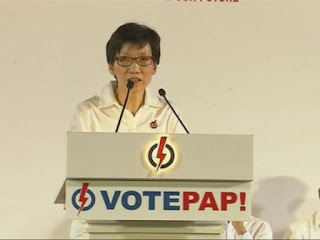 So Ms Sim Ann tackled Dr Chee Soon Juan’s past in her infamous “chut pattern” speech during the last General Election. Both sides were vying for Holland-Bukit Timah Group Representation Constituency (GRC) seat. Now you have Ms Grace Fu doing a similar speech, although in a less supercilious manner in the Bukit Batok by-election. In fact, a colleague described her as a “sweet bulldog”. Reading her doesn’t do her as much justice as listening and watching her. The little asides, tentative manner was even a little motherly, like an adult admonishing a child gently, oh so gently. She stood out as the best speaker on the PAP side last night, although she is likely to be criticised for getting “personal”, like taking a swipe at Dr Chee’s unemployed status. It was masterly. She insinuated that Dr Chee could well be a full-time MP because he had no job to lose. But that wasn’t her thrust (because that would be oh, so bad), it was how his lack of work experience was “a relevant factor” when voters weigh the credentials of the rival candidates. BB BE: Who cares who pays for what upgrade? Do you? The People’s Action Party rally yesterday (Apr 29) had several quotable moments, but the best came when Grace Fu – Minister of Culture, Community and Youth and MP of the adjacent Yuhua SMC – tore into the character of Chee Soon Juan. Grace Fu brought up the internal strife within the Singapore Democratic Party (SDP) nearly 20 years ago – as well as more recent political adventures from the party, such as its attempt to represent Punggol East in Parliament while letting the Workers’ Party run its town council in 2013 – as proof that SDP’s Chee Soon Juan is not prepared to run an estate, a major talking point in this by-election. Fu also brought up the track record of PAP candidate Murali Pillai, who ran in Aljunied GRC in the last election. How does SDP’s first by-election rally measure up against those of GE2015? Tharman has taken the first shot at the SDP that they were unprepared for the by election. That must be the truest of all the statements made so far. How could SDP know that there will be a by election coming so soon after the GE and be prepared for it? I don’t think anyone in the SDP could foresee that something like this would happen and be prepared for a by election. Only those who knew what is coming could be prepared for it. 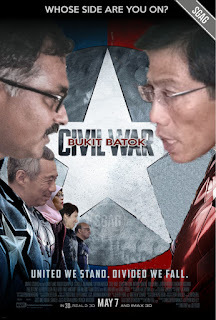 Is the PAP prepared for this by election, knew that it is coming? Who knows better, but PAP is surely more prepared than the SDP or Tharman would not be using this as a strong point to use against the SDP. SDP is unprepared, heheh, we are. PAP is prepared and ready for the by election with its new programme launched by Murali. Is the new programme similar to the programme David Ong promised the residents of Bukit Batok? Some numbers were quoted, that David Ong’s programme was very comprehensive and amounting to $24m while Murali was talking about $1.9m. Please enlighten me on this. Oh, before I forget, let me use the often uttered phrase by the rich people. What is $1.9m? This is even less than one year’s salary of a minister. Maybe Murali was talking about a small portion of the programme or the $24m was the whole programme that includes other constituencies. SDP must be forgiven for being in the dark about this whole affair as they were not a party to it. Sure, they don’t know. “There is no need for MPs to give up their full-time jobs”, says PAP candidate Murali for Bukit Batok by-election. The PAP candidate was ridiculing his SDP opponent Dr Chee Soon Juan who promised to dedicate full-time serving residents in Bukit Batok SMC. However, the PAP candidate disagrees and felt there is no need. 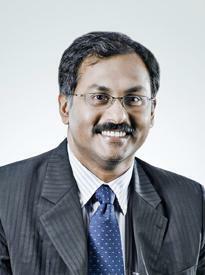 Currently, PAP candidate Murali is the head for Commercial Litigation Practice of Singapore’s top law firm Rajah & Tann. His estimated monthly salaries is at least S$17,000 a month but the salary of a MP is only S$15,000 a month. 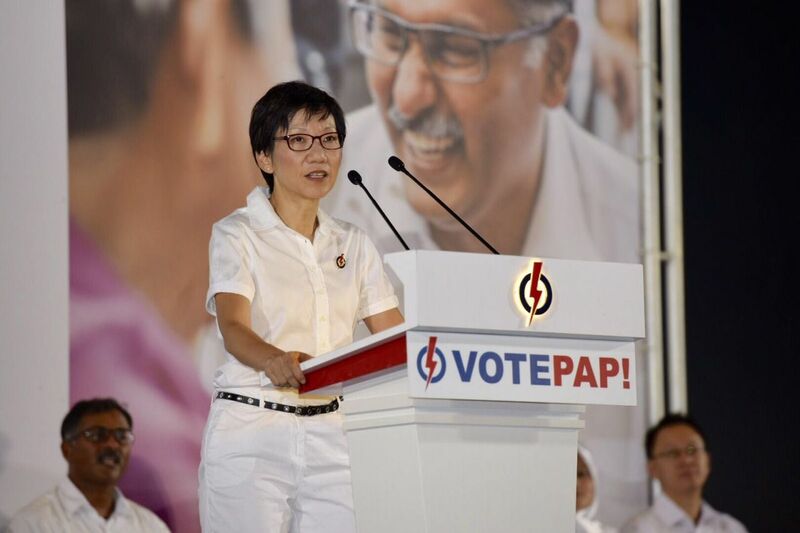 As such, it is only natural that the PAP candidate is unwilling to forgo his full-time job which is relatively stable as compared to being that of a MP that is essentially a 5-year contract. 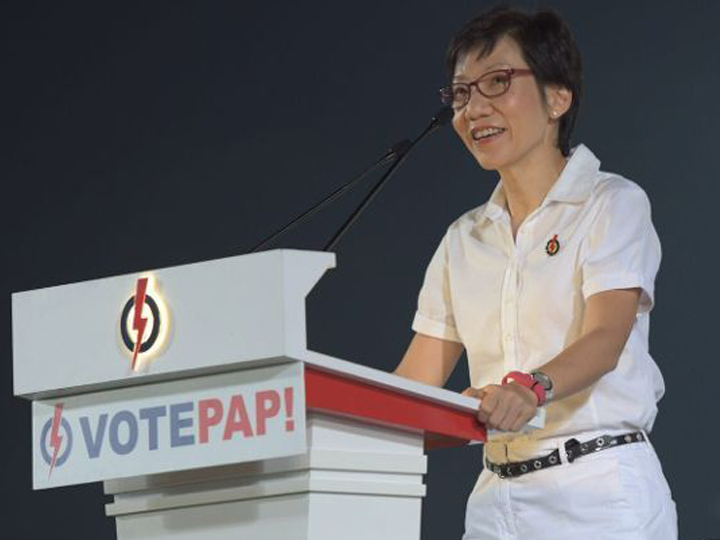 Many PAP MPs also held on to their full-time jobs and serve their constituencies part-time. The recently-fired corrupted PAP MP David Ong was also serving Bukit Batok SMC part-time while holding on to his full-time job as a Managing Director. How Much Can the Bukit Batok By-Election Change? The Bukit Batok by-election will happen on 7 May. The People’s Action Party (PAP) has not done well in by-elections at least in the last couple of years, losing at Hougang and Punggol East in 2012 and 2013 respectively. A possible explanation for this is the absence of the fear narrative in by-elections. Conservative voters whose fear of a non-PAP government outweighs their desire for a more opposition representation in Parliament can now, to use their language, ‘safely’ vote for opposition candidates. Dr Chee’s supporters eagerly await the day that one of the most formidable orators in the opposition is elected to Parliament and brings his fiery eloquence to bear on important national issues. The Singapore Democratic Party (SDP) has also spelled out a detailed list of social programmes that it intends to carry out in the constituency if elected, including provision of financial advice and aid, subsidised private tuition, as well as building social capital by providing bridging opportunities for community members to engage each other. The party and most of its supporters seem to greatly favour Dr Chee’s chances, and the picture of an SDP-run Bukit Batok seems rosy indeed. Dr Chee himself has described his vision for Bukit Batok as a town that would become a model that would one day spread to all of Singapore. Bukit Batok by-election: Whose side are you on? More than six months after splitting up, divorcees still carry the scars and the hurt deeply, with some unable to sleep and others drowning their sorrows in alcohol. 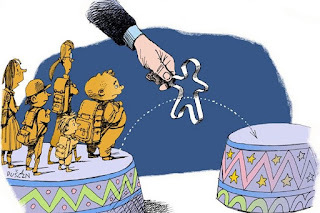 But some factors, such as having a support network or not viewing divorce as a personal failure, can help one to adjust to life after divorce. 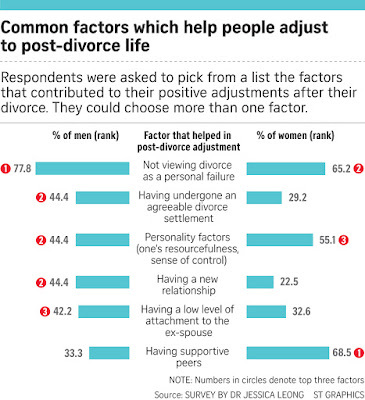 This is according to a study of 134 divorcees here by Dr Jessica Leong. 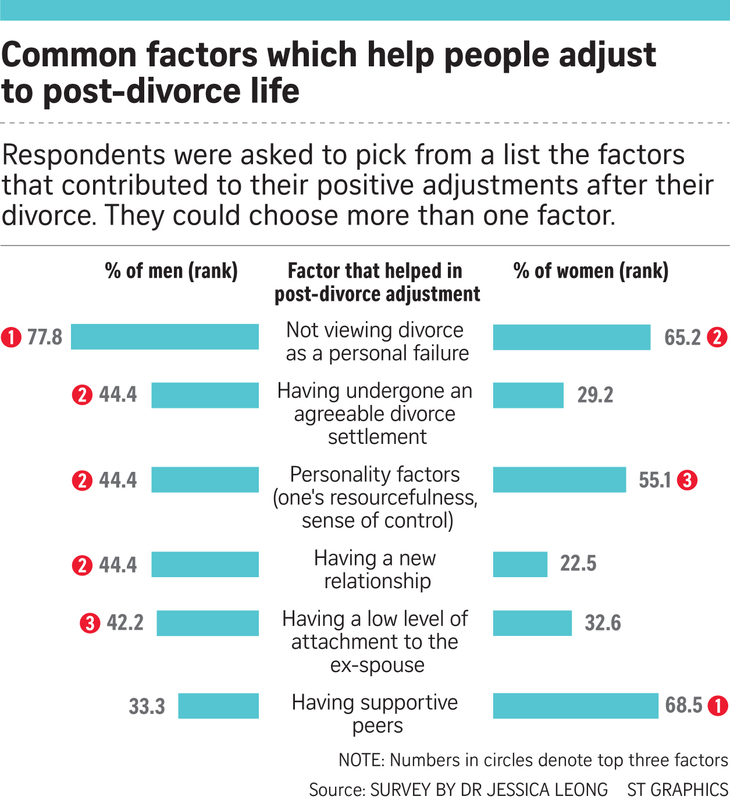 Part of her study asked respondents to recall how they felt and behaved at different points after the divorce - immediately after it, within six months, and more than six months after the divorce. 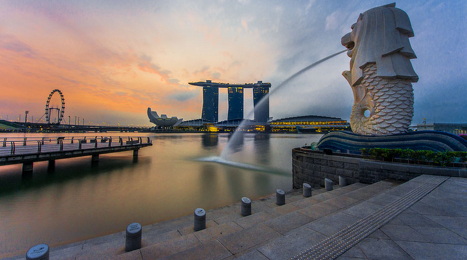 Singapore is a global financial hub and a major destination for Australian business travellers – and with over 25 flights a day between the two countries and no visa needed when visiting on business, companies here are some of the most convenient in the world to transact with. But it’s not as simple as flying in, delivering your pitch and scuttling back to the airport lounge. 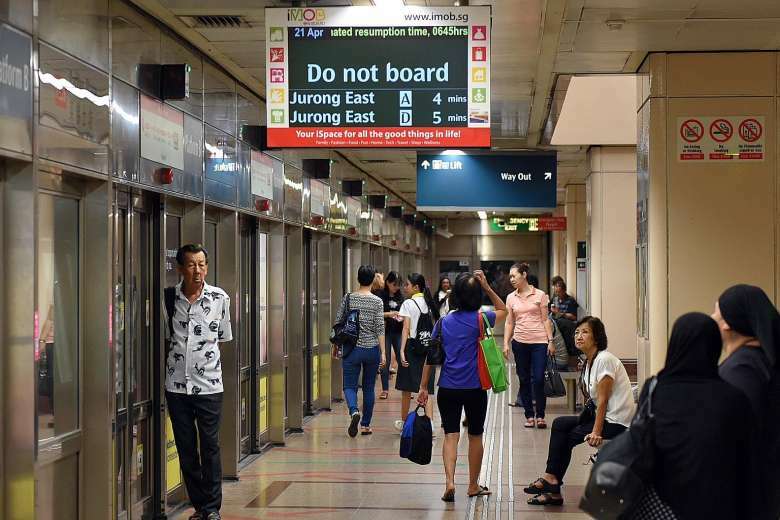 There were 14 major breakdowns on the MRT network last year - an increase of 40% from the previous year, the Land Transport Authority announced on its website yesterday. Meanwhile, the number of such breakdowns, each lasting more than 30 minutes, on the LRT system nearly quadrupled to 15. For the MRT, only the newest line - the Downtown Line - posted a drop in the number of major disruptions. All others saw an increase, with the oldest --- North-South and East-West lines --- accounting for half the total of 14. 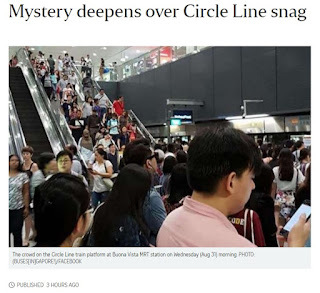 Commuters were told to expect delays as signalling problems continued to plague the Circle Line for the 4th day in a row, according to a news release issued by the Land Transport Authority (LTA) and SMRT early on Thursday (Sep 1). Commuters should factor in extra travel time to get to their appointments on time, the release said. "We have narrowed the problem to signal interference, causing intermittent loss of signal between trains & stations," LTA & SMRT said, adding that they are working with a team of experts from train manufacturer Alstom to resolve the issue. 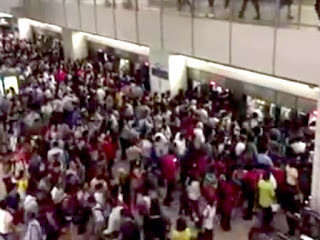 In what appears to be a landmark disruption, the Circle Line’s slump in train service has continued into its fifth day. 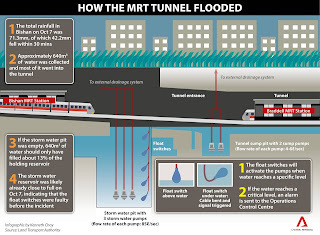 SMRT says the problem lies in a fault with the signaling system and its technicians are working to fix it. Since Monday morning, trains on the 5-year-old line have had to apply emergency braking several times a day as they intermittently lose signalling communication with the tracks. Still clueless about the problem of intermittent signalling issues, SMRT switched off the mobile network in four stations for two hours in an attempt to fix the 5-day old train breakdown issue. SMRT suspect that third-party signal may be the cause of the signalling issue and hence decided to turn off the mobile network at Kent Ridge, Haw Par Villa, Pasir Panjang and Labrador Park between 7pm to 9pm yesterday (Sep 3). 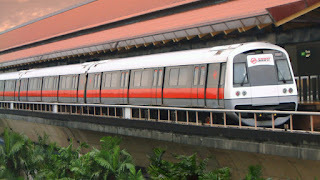 The Circle Line saw trains travelling as slow as 18km/h for 5 days straight as SMRT lack the expertise to fix the issue. Travelling time for a usual 15 minutes ride extend to over 40 minutes, with stations severely overcrowded. No alternative transport is provided and fare charges remain as usual. 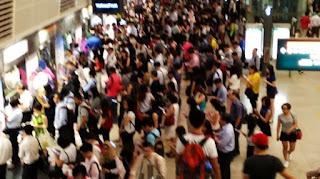 Over the period, Singaporean commuters lodged barrage of complains over the lack of responsibility and accountability by SMRT and the Land Transport Authority (LTA) in handling the train breakdown. 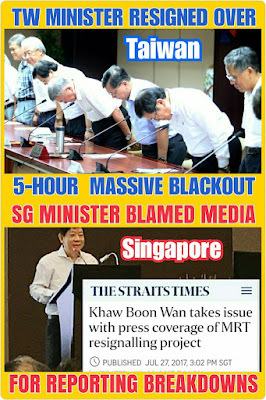 Transport Minister Khaw Boon Wan disappeared into hiding and passed the ball over to his LTA officials and SMRT personnel to handle the outrage. 18km/h – this is how slow the Circle Line trains are going right now on manual mode. Commuters on Singapore’s Circle Line are yet frustrated again by SMRT and the Land Transport Authority (LTA)’s incompetency to fix the train speed. 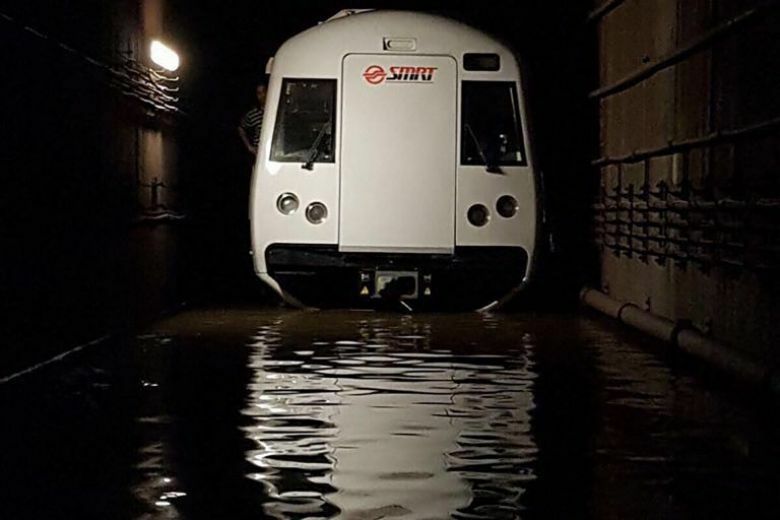 Despite blaming the problem solely on the signalling system, SMRT and LTA said they were still unable to pinpoint the problem and are now seeking assistance from its France-based manufacturer, Alstom. 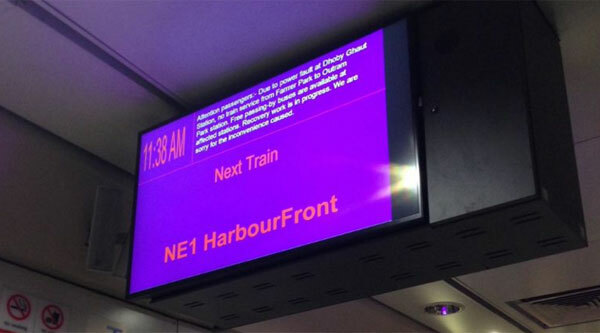 According to state media, the trains started seeing intermittent losses of connection between the train transceivers 4 days ago when SMRT upgraded the signalling system software. 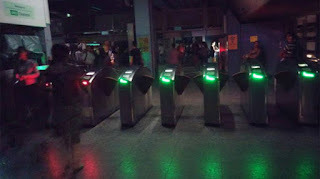 SMRT has since rolled back the new upgrade and installed the old software, but the problem persists. 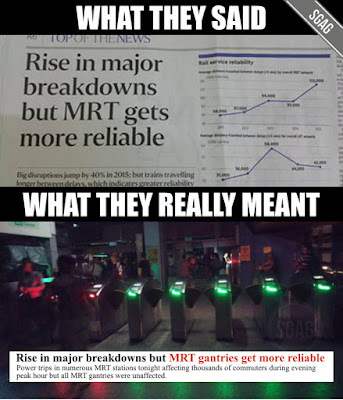 State media calls the problem “a mystery” while LTA and SMRT remain clueless and unable to deliver a response. 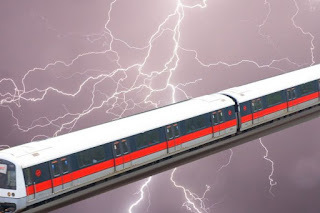 Mother nature was presumably deeply upset with the state of public transport this afternoon, striking an SMRT train with lightning that managed to fry its brains. The Yio Chu Kang-bound train that felt her wrath was crippled after leaving Yishun MRT station during the freak thunderstorm, disrupting services on the North-South Line. Yishun, Khatib and Yio Chu Kang stations were affected, and SMRT deployed free bus services between them. The thunderstruck train had to be pushed out by another train — and fortunately, none were hurt in the incident. 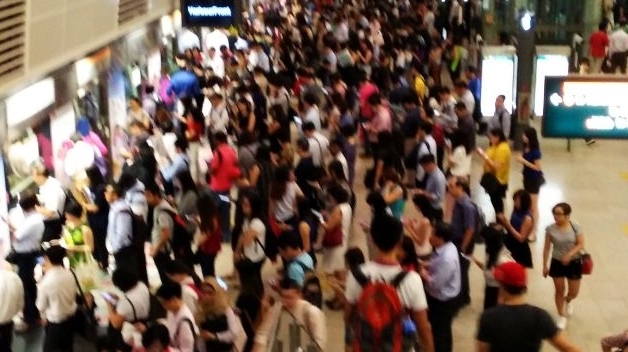 Train services resumed around 4.40pm, according to SMRT. 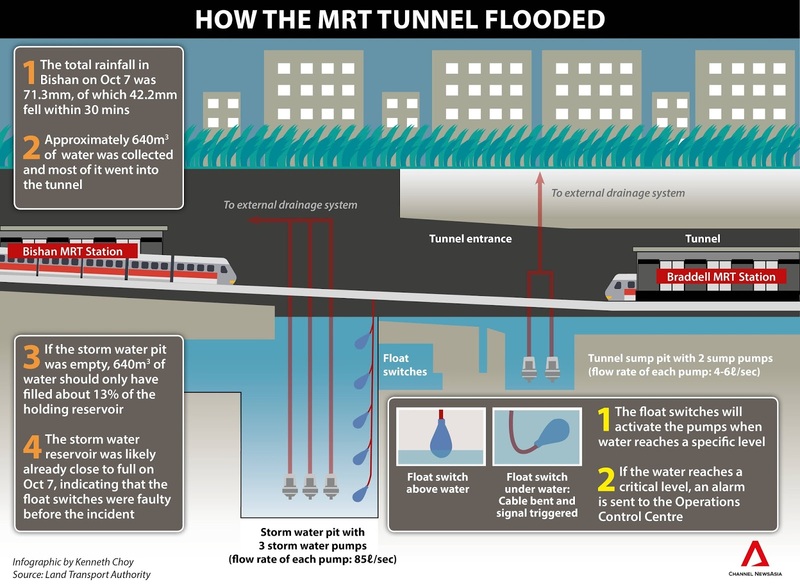 Over 30 MRT stations had to rely on emergency lighting after power was cut. Train services were disrupted on 3 MRT lines and 1 LRT line. Not to mention blackouts in certain train carriages. But at least, the gantries were working fine. Some MRT stations experienced blackouts, while the power was intermittent resulting in the lights and air-conditioning turning on and off. Free regular bus services were made available between Joo Koon and City Hall stations, and between Kranji and Jurong East stations. 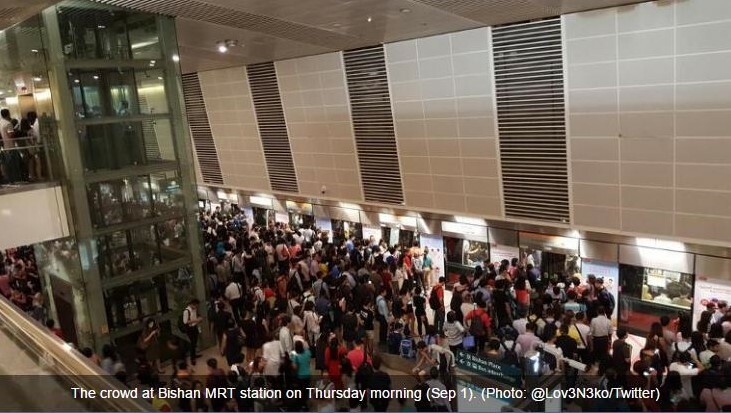 This power fault comes four days after two train breakdowns on April 21, which was two days after Transport Minister Khaw Boon Wan said the North-South Line had achieved 100 days without any major incident and was on track to better reliability. That’s the headline that Straitstimes had. It doesn’t seem like a logical statement as it’s a contradicting statement. How can a rise in major breakdowns equate to things becoming more reliable? It’s very much like scoring 1/20 on your spelling test in primary school but selling it as a great improvement from 0/20. Whilst it is an improvement, we wouldn’t be telling anyone about it. So LTA and Straitstimes let’s just run through this article briefly. An increase in breakdown from the previous year, that’s not positive and it’s the opening sentence. Yesterday, the North-South Line (NSL) achieved 100 days without any major incident! 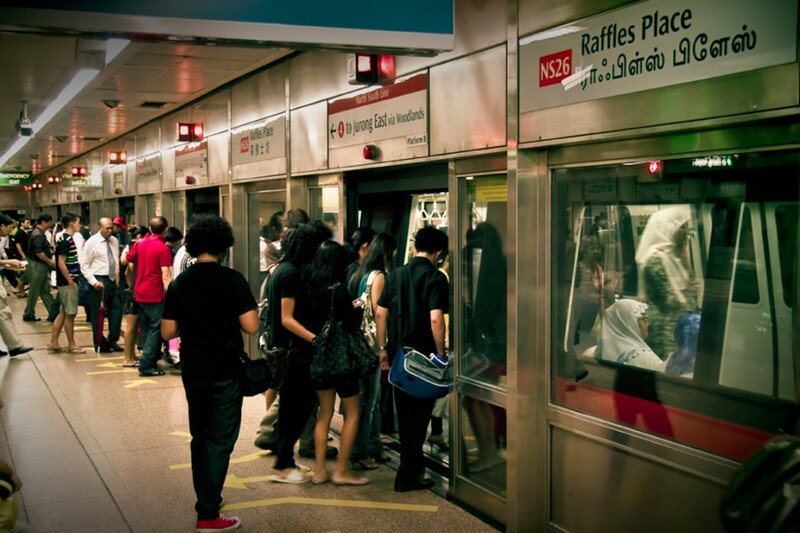 It joined Downtown Line, which has passed the 178–days’ mark and is working towards its 200-day milestone next month! For us in the rail industry, clearing 100 disruption-free days is no mean feat: it requires everyone to do everything right. Any misstep can cause a disruption. We have five MRT lines, with two having crossed the 100 days’ mark. The entry of NSL is especially inspiring as it is our oldest line. Its success gives us confidence that with hard work and strong determination, we will improve our rail reliability. But today’s success does not mean continued success. Any lapse, and we are back to square one, much like a game of snakes and ladders, and the clock is reset. 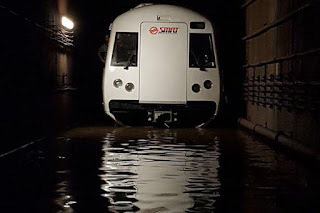 It has been 100 days since the North-South Line (NSL) last experienced a major incident, Transport Minister Khaw Boon Wan announced on his blog on Tues (Apr 19). The NSL achieved the feat on Monday, joining the Downtown Line (DTL) - which passed 178 days without disruption -- in clearing the 100-day milestone. "For us in the rail industry, clearing 100 disruption-free days is no mean feat: it requires everyone to do everything right. 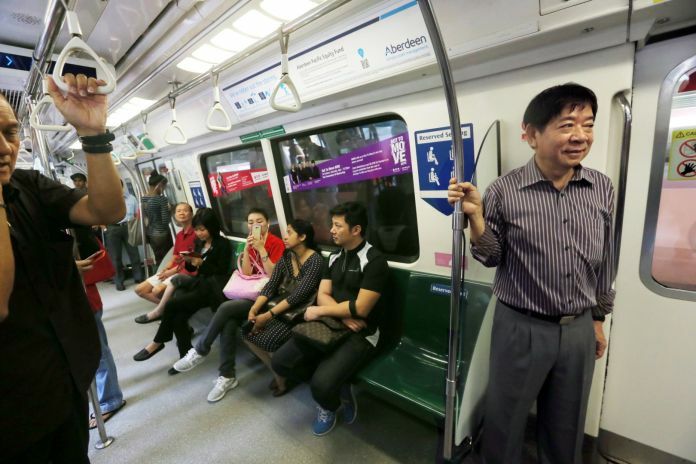 Any misstep can cause a disruption," Mr Khaw wrote in his post, titled "On track to better rail reliability". HEY, don’t jinx it! Especially if it means unleashing Singaporeans’ worst nightmare: MRT breakdowns. 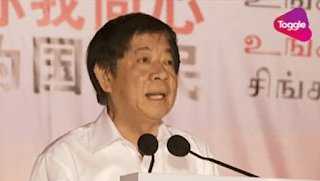 In a blogpost on Tuesday (April 19), Transport Minister Khaw Boon Wan praised the North South Line (NSL) for “having achieved 100 days without any major incident“. Two days later riders whizzed off in NSL trains echoing the very efficiency of Singapore’s public transport system: Not. Commuters woke up to a disruption on the SMRT-operated line yesterday (April 22) that lasted from the start of service till 6.50am. The very vehicle tasked to keep trains running – a maintenance locomotive – had broken down and obstructed the way of trains. Maybe it was a rogue double agent working for rival train operator SBS Transit? 133,000 km last year compared to 93,000km in 2014. It’s funny how things can come back to bite us, and yes that also happens to me, so before I go on, I’m making sure that I’m touching lots of wood. Checked. Table is made of wood. 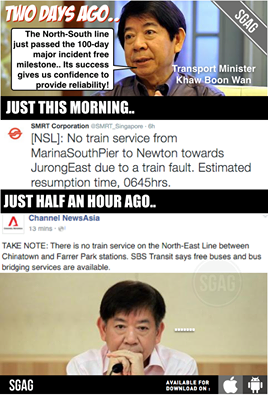 This is about how Transport Minister Mr Khaw Boon Wan jinxed the MRT after celebrating his 100-days of no-break-down milestone. 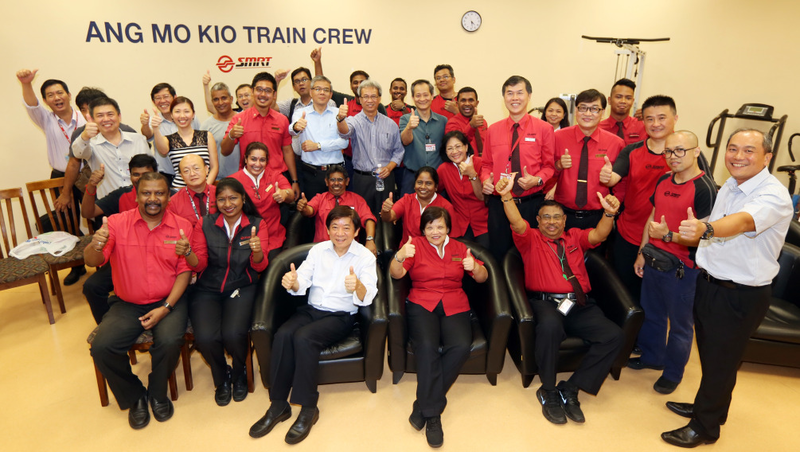 On Tuesday, Mr Khaw proudly announced on his blog that the North-South Line (NSL) achieved 100 days without any major incident. Two days later, which is today, the MRT system was struck by two breakdowns. The first breakdown happened on the NSL. The train operator, SMRT, announced via a tweet at 6:09am about the disruption. Full service was resumed at 6:57am. There is a major train breakdown between Marina South Pier and Newton station on the NSL this morning (April 21). The article below is written only 9 hours ago. Calling the 100-day major disruption-free on the North South Line (NSL) a “success”, Transport Minister Khaw Boon Wan mischievously misled Singaporeans about the reliability of Singapore’s public railway system. Minister Khaw cherry-picked the NSL and left out the recent damning report by the Land Transport Authority, which highlighted an increase in train breakdowns. In 2015, there was a total of 14 major MRT train breakdowns, 40% more than 2014’s 10 incidents. For the LRT trains, the number of breakdowns exceeding thirty minutes increased 4-fold to 15 in 2015. 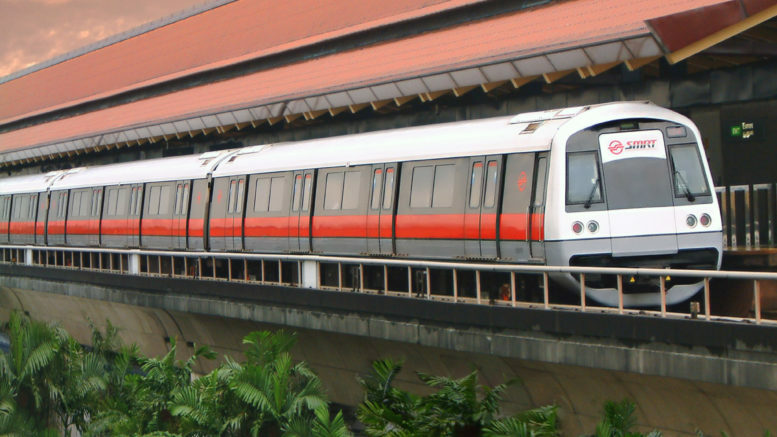 The most problematic train system is the Bukit Panjang LRT line, which saw 10 breakdowns in 2015. In summary, there is a train breakdown nearly every 2 weeks in Singapore. 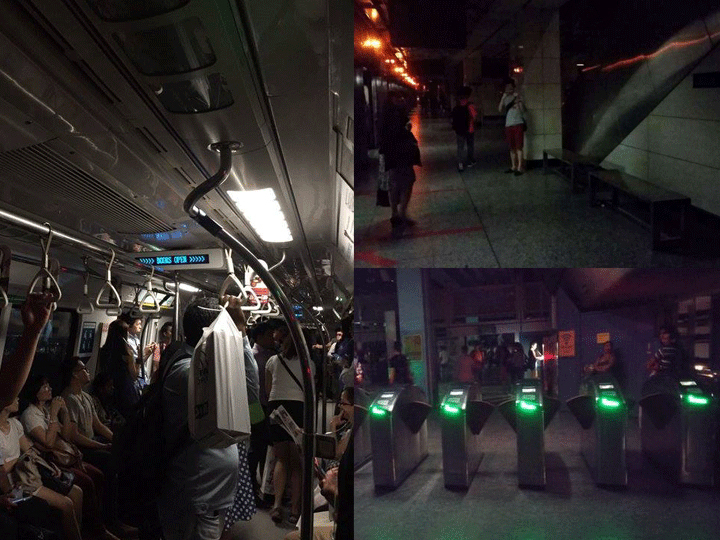 Commuters saw their journeys disrupted by separate faults on the North-South and North East MRT lines yesterday. 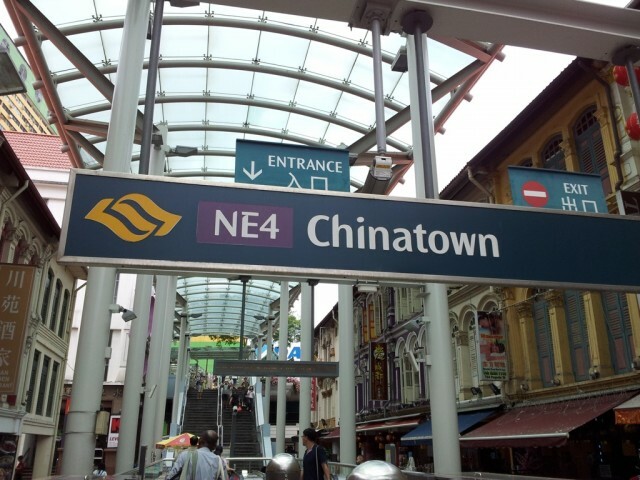 On the North-South Line (NSL), a maintenance locomotive that stalled at Raffles Place station shut down northbound train services between Marina South Pier and Newton from the start of service till about 6.50am. 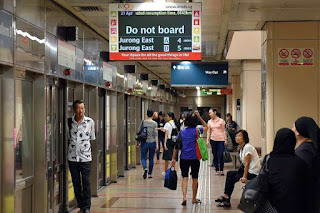 Just after 11am, a power fault disrupted train service between Outram Park and Farrer Park stations on the North East Line (NEL) for about 40 minutes. 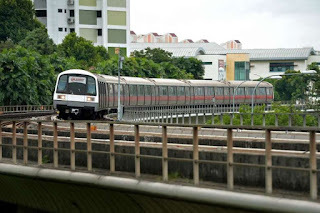 Train service on the North-South Line (NSL) was disrupted for about half an hour today (26 Apr), less than 12 hours after four train lines were affected by a power trip in another incident. 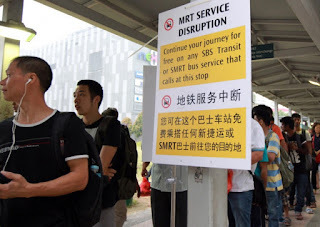 This was also the third disruption on the NSL in less than a week. There was no train service between Kranji and Woodlands because of a traction power fault. SMRT got trains moving again at 6.49am and announced that everything was back to normal at 7.29am. 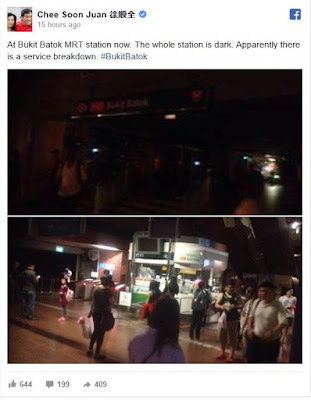 In a statement on Facebook, SMRT apologised to commuters and said it was investigating the cause to determine if it was related to the disruption yesterday (25 Apr) evening. Tuesday morning’s disruption comes less than 12 hours after four train lines were affected by a power dip on Monday. Three MRT lines and one LRT line were affected on yesterday evening, leaving thousands of commuters stranded. 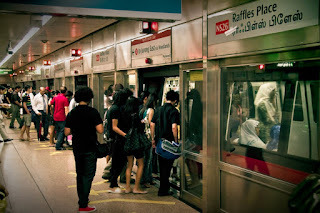 Singaporeans from all walks of life, who like to take public transport because cars are for rich people, are blaming themselves and saying it is their own fault. This after there were two train breakdowns on April 21, two days after Transport Minister Khaw Boon Wan said the North-South Line achieved 100 days without any major incident and was on track to better reliability. 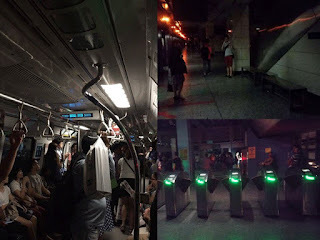 About 10 minutes alter, at 8.11pm, SMRT tweeted that there was no train service between Joo Koon and Bugis on EWL, between Woodlands and Jurong East on NSL due to traction power fault. Services were restored about 30 minutes after the reports of power trip started surfacing on social media. 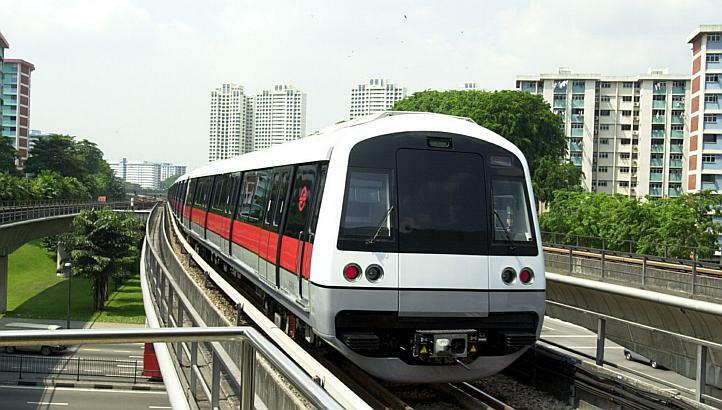 SMRT said that the disruptions were due to a traction power fault. To check out Rodrigo’s full poem, click here. For this year’s Singapore Poetry Writing Month, a group of writers gathered together and wrote a poem for every MRT station, aptly titled: Poems On The MRT. Is drinking lemon water really good for you?